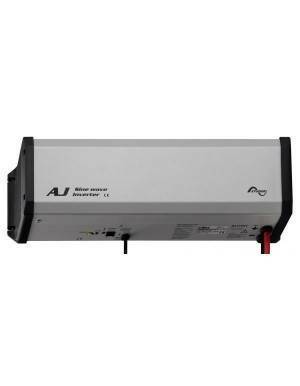 Inverters 12V-230V There are 21 products. 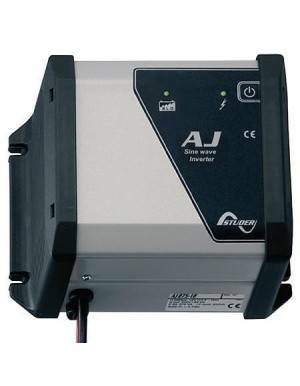 What is a 12V-230V inverter? 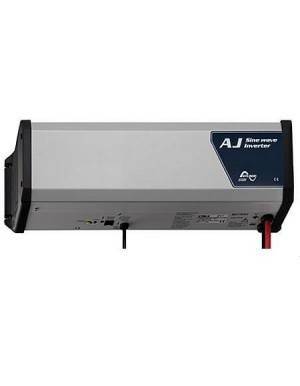 12V-230V Inverter includes pure sine wave inverters that convert the energy of a battery bank 12V DC to AC 230V, to be used in any conventional electrical appliance. 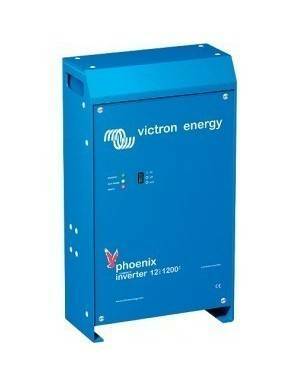 Victron Phoenix VE.Direct 12/250 12V to 230V inverter of the renowned Victron brand. 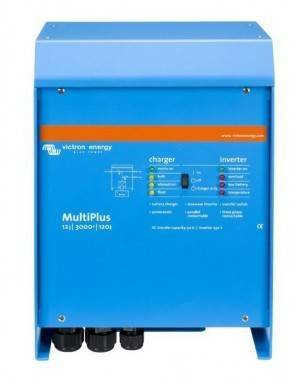 A robust and reliable inverter of small size. 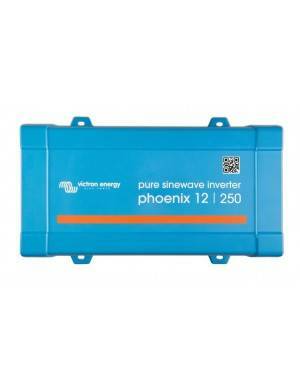 Pure sinewave inverter 250W 12V TBS Puresine PS300-12 The Powersine range of professional DC to AC true sinewave inverters, offer superior performance for a wide range of applications. 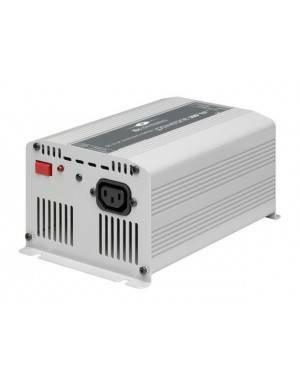 Sine Wave Inverter Studer AJ 275-12 12V 200W A 200W power sine wave inverter from Swiss manufacturer Studer, model AJ 275-12. 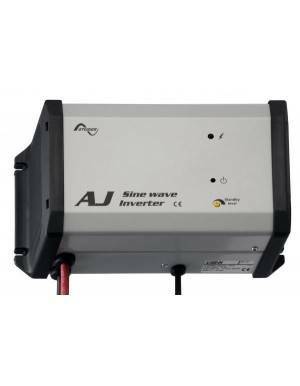 High-end sine wave inverters for off-grid 12V applications. 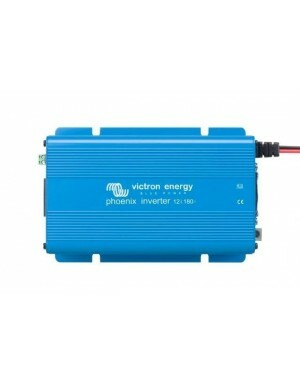 Solar inverter Victron Phoenix 12/1200 12V 1000W 1000W Solar Inverter Victron Phoenix series for off-grid systems for use in 12V systems, model Victron Phoenix 12/1200 model. 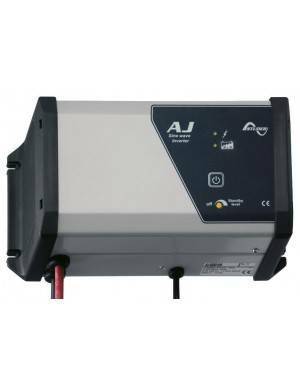 Robust, functional and economical inverter for use in RVs, isolated homes or remote communication facilities. 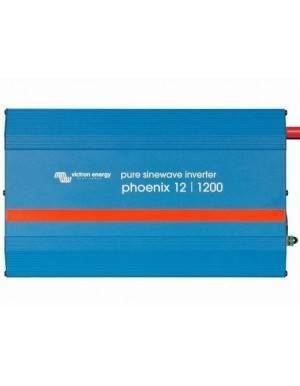 Solar inverter Victron Phoenix C12/1200 12V 1000W 1000W Solar Inverter Victron Phoenix series for off-grid systems for use in 12V systems, Victron Phoenix C12/1200 model. Robust, functional and economic investor with possibility of use in parallel and three phase configurations, enabling meet any power requirement. 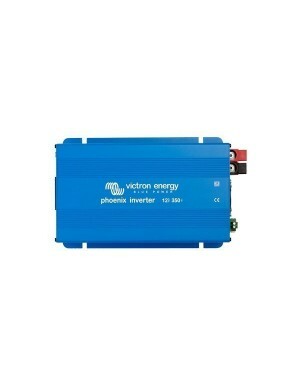 Solar inverter Victron Phoenix C12/1600 12V 1300W 1300W Solar Inverter Victron Phoenix series for off-grid systems for use in 12V systems, Victron Phoenix C12/1600 model. Robust, functional and economic investor with possibility of use in parallel and three phase configurations, enabling meet any power requirement. 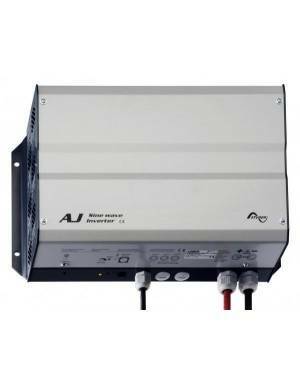 Sine Wave Inverter Studer AJ 1000-12 12V 800W A 800W power sine wave inverter from Swiss manufacturer Studer, model AJ 1000-12. High-end sine wave inverters for off-grid 12V applications. 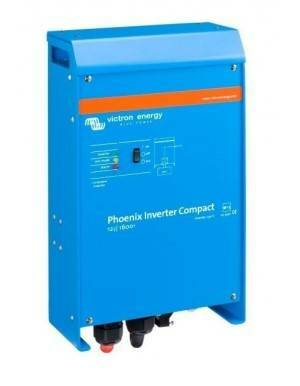 Solar inverter Victron Phoenix C12/2000 12V 1600W 1600W Solar Inverter Victron Phoenix series for off-grid systems for use in 12V systems, Victron Phoenix C12/2000 model. Robust, functional and economic investor with possibility of use in parallel and three phase configurations, enabling meet any power requirement. Solar inverter Victron Phoenix 12/3000 12V 2400W 2400W Solar Inverter Victron Phoenix series for off-grid systems for use in 12V systems, Victron Phoenix 12/3000 model. Robust, functional and economic investor with possibility of use in parallel and three phase configurations, enabling meet any power requirement. 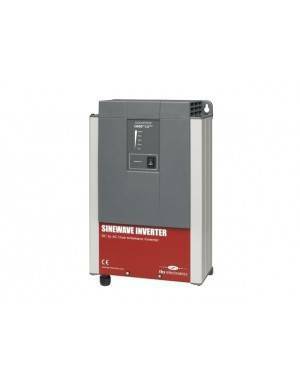 Sine Wave Inverter Studer AJ 2100-12 12V 2000W A 2000W power sine wave inverter from Swiss manufacturer Studer, model AJ 2100-12. 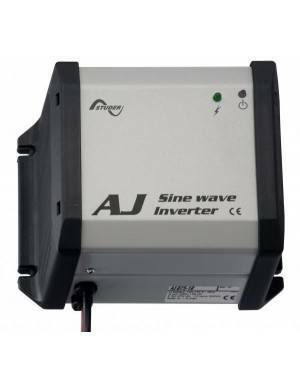 High-end sine wave inverters for off-grid 12V applications. The pure sine wave inverters generate AC same type as the conventional electricity grid, allowing the use of all kinds of electrical appliances. As part of a solar kit, the sine wave inverter is responsible for the transformation of the energy generated by solar panels kit, stored by a regulator or solar charger, a set of batteries. 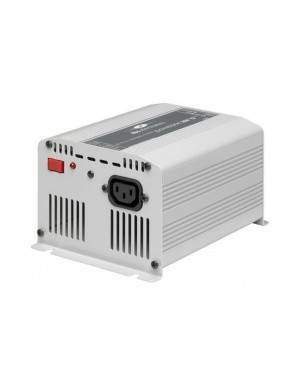 This energy, as is DC, cannot be used in many conventional electrical appliances that would connect to the conventional power grid, so inverter takes charge of transforming that energy into alternating current at 230V. 12V-230V Inverters permit, connected to a battery bank 12Vdc, generate 12V-230V alternating electricity. They can transform the energy of wind turbines or solar panels kit, previously stored in a battery pack 12Vdc, into electrical AC power at 230 Vac. 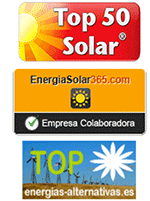 12V-230V inverters allow generate alternating electricity from a single 12V battery, this allows to form a solar kit with very few elements: solar panels kit, or only one, a regulator or solar charger, a 12V battery and an inverter 12V-230V.